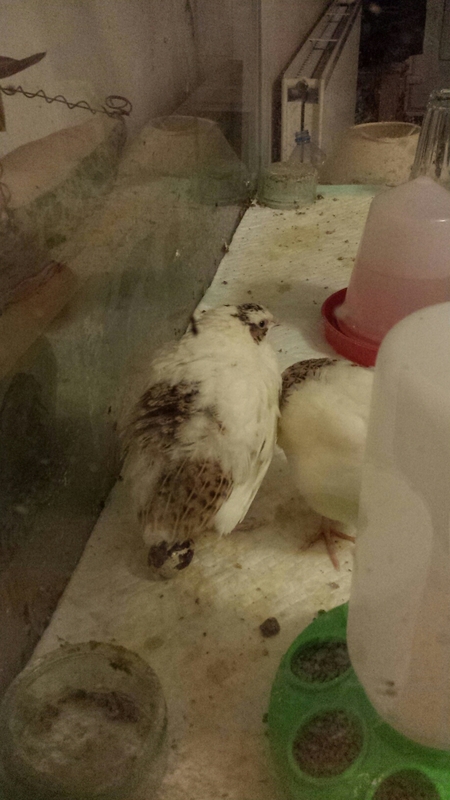 I just kept 2 of the quails. (I had chosen to keep 4 permanently but some turned out to be boys!) These 2 girls are now leaving this evening… but more Japanese are hatching very shortly, along with some tiny Chinese Painted which I got for free…and then soon after Bobwhite Quail in different colours are hatching! But enough of all of them for now, what about the 2 grown up ones? 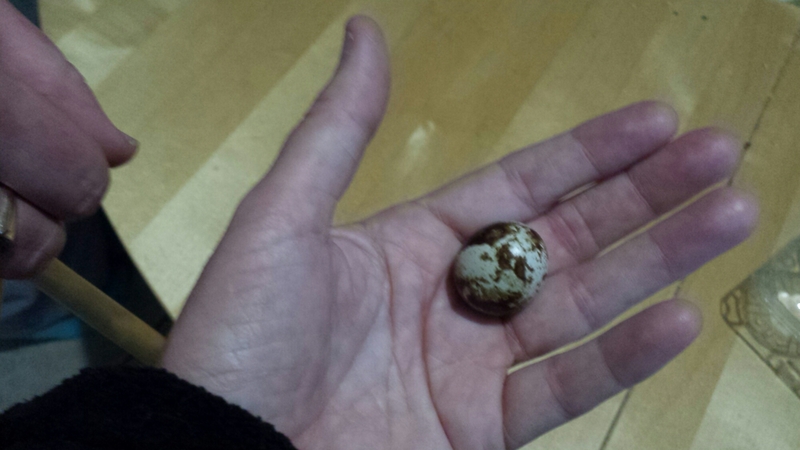 It’s been lovely seeing them grow and it was brilliant to find the first egg……. and then something even more brilliant happened!! 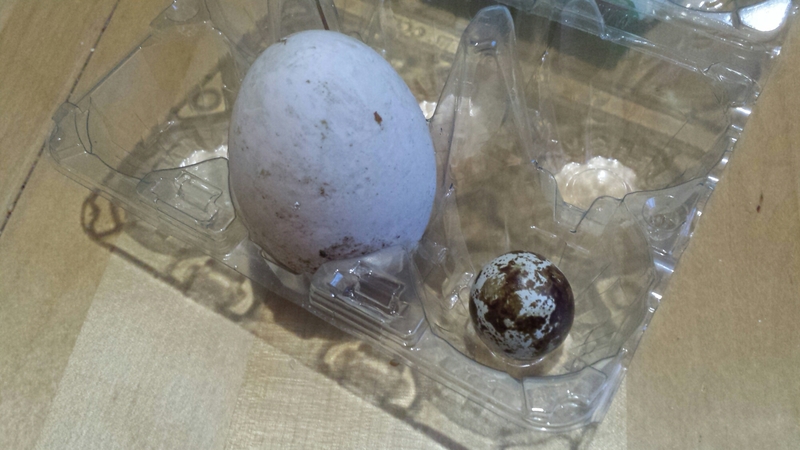 I didn’t know which one had laid it and was hoping the other (whichever it was) would start soon layoling too. 5 days later, when exactly 7 weeks old, I looked in on them to find 2 eggs. Hurrah! So what was the even more brilliant thing? I was watching them yesterday and suddenly, with no warning, one of them laid an egg! Dropped would be a more appropriate expresssion. It landed with an audible bump! This also meant I could tell which had been the first to start laying. Here she is, with the egg underneath her. 4 days later they went to their new home, and a couple of days after that we boilled all 13 eggs and ate them. They were delicious! It was lovely, if a bit unusual, having 2 quail in the front room. Usually poultry and waterfowl are outside, of course… What then would be a natural progression from having poultry or waterfowl indoors on a permaneny basis? Any ideas…?! Answers on a postcard!